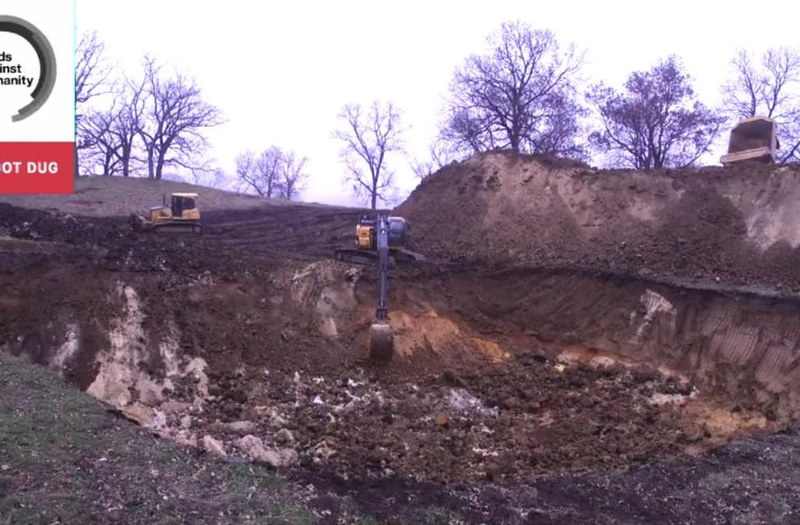 As millions of people lined up to shop on Black Friday, others decided to spend their money on digging a giant hole. Yes — a giant hole. It was the latest Black Friday stunt from Cards Against Humanity, which is also known as "a party game for horrible people." People from around the world chipped in money to keep the digging going. And they were generous. They contributed over $100,000, which was enough to make the dig last until Sunday afternoon. In return, they got a bigger hole. Because as the website dedicated to the hole said, "What else are you going to buy, an iPod?" So what was the point? The team said there wasn't "a deeper meaning or purpose to the hole." But we're not buying that — especially since the team described the donations as "money thrown in hole" and said the hole is located not just in America, but "in our hearts." Get it yet? If not, the website says "some time next year you'll chuckle quietly to yourself and remember all this business about the hole." Last year, the company called on its customers to pay $5 for absolutely nothing. The company raised over $71,000, which team members spent mostly on themselves, though they did donate some money to charity. If you're wondering why the company decided to dig a hole this year instead of donating to charity, its answer is this: "Why aren't YOU giving all this money to charity? It's your money." Ivanka Trump, Chief Climate Change Advocate?